Entry to the club is now available via the South Road gates. Gate is NOT a designated car park. Please use the Northern Car Park and the South Road gates. 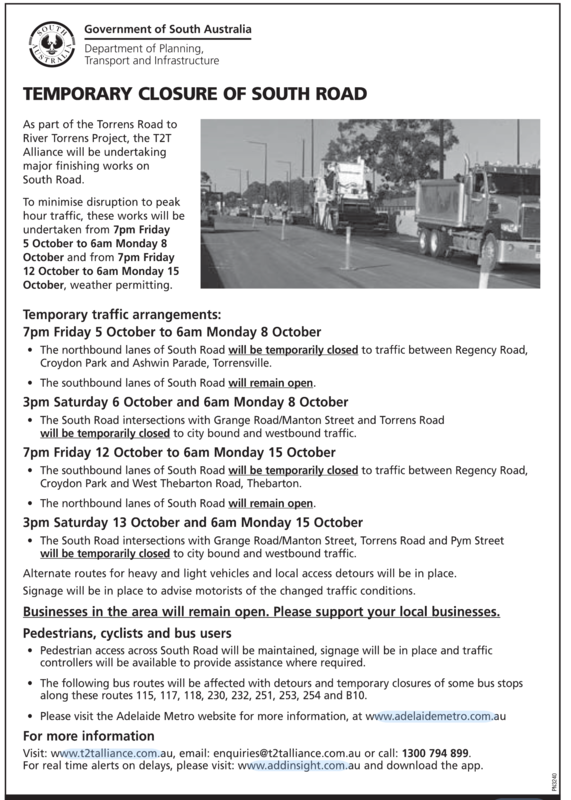 Please note the following restrictions, as published in the Advertiser on Saturday, the 29th of September.